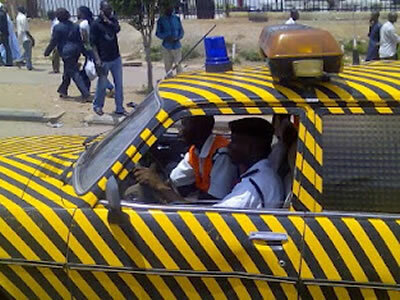 Vehicle inspection officers in Lagos are currently undergoing retraining in the use of modern technology to assist them to effectively discharge their duties, the state Commissioner for Transportation, Mr Ladi Lawason, has said. Lawason, who hinted about the return of the VIOs after the special training being handled by local and foreign experts, spoke in Lagos as the state Computerised Vehicle Inspection Service decorated eight ambassadors expected to complement its efforts in encouraging motorists to bring their vehicles for regular inspection and certification. The Lagos State Governor, Akinwunmi Ambode, ordered the VIOs out of the state roads a couple of months ago following public outcry against their manner of operation.